Anesthesia is most simply, freedom from pain. Anesthesia services involve the highest degree of professionalism, including constant monitoring of your heart rate and rhythm, blood pressure, and the oxygen levels in your blood As changes occur in your reactions to anesthesia, the nurse anesthetist responds appropriately ensuring your safety and comfort. Integra's nurse anesthetist stays with you for the entire procedure. Our nurse anesthetists provide high quality anesthesia services combined with personal concern for your health and welfare. We are happy to assist you and offer other information about what to expect with your anesthesia experience. The anesthesia chosen for you is based upon factors such as your physical condition, the nature of the surgery or procedure, and your response to medications. Ambulatory anesthesia care allows you to go home the same day as your surgery/procedure. You may receive a general anesthetic which causes you to be totally unconscious and unresponsive to pain. With this type of anesthesia, you may have a tube in your airway. You may receive deep sedation, which causes you to sleep through the procedure with little to no memory of the procedure room. Supplemental oxygen is given. 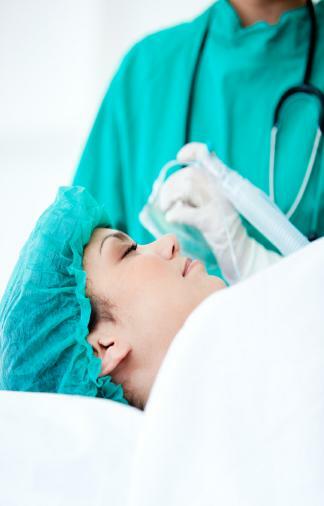 Before anesthesia: You will have a preoperative interview with your anesthetist prior to your procedure. This confidential discussion provides vital information. Be sure to closely follow your preoperative instructions regarding your intake of medications, food, or beverages before anesthesia. After anesthesia: Be sure that you are accompanied by a responsible adult. They will need to drive you home as well as provide immediate care for you at home. You should have this adult with you for the first 24 hours. For the first 24 hours after anesthesia, you should not drive a car, make any important decisions or sign any legal documents. You should spend this day resting. Follow your postoperative instructions closely and use the contact number provided to you in case of any questions.